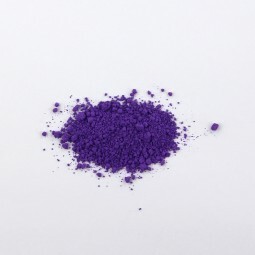 Around 1880, there were 24 factories producing artificial ultramarine pigments in Germany. In 1852, the new ultramarine factory Marienberg was founded in the Lauter valley in the Odenwald which existed until 1972. After the Blue Color factory Marienberg in the Odenwald was closed, some of its reference samples were set aside and stored in a garage. Decades later, when the garage was cleared out, the historic samples ended up at Kremer Pigmente. Reproductions in books and photographs usually fail to convey the appearance and quality of ultramarine blue. Customer evaluation for "Ultramarine Violet medium I"